Carissa Newton, Director of Marketing at the Cunningham Restaurant Group (CRG), will be presenting their Hoosier Success story. This discussion will focus on how CRG has developed a vast portfolio of successful restaurants with a focus on hospitality, connection, community and the impact it can make in the guest experience. Adam Pintar will be discussing the evolution of his career as a content marketer at Indianapolis Indians and with his current role at USA Football. At this luncheon, he will give tips and advice on how to push yourself, your team and your company to create multi-channel creative content that connects. Join AMA Indy members and guests for a webinar to find out how to make the most of your AMA Indy membership. Learn about AMA Indy members and resources and find out about opportunities to engage with the chapter through volunteering. Ready to build a full funnel digital marketing campaign? Gone are the days of putting together a few Facebook ads, layering in some audience targeting, and then bam! Customers are getting bombarded every day with targeted ads, and they are becoming immune. You’ll learn how to structure a full funnel digital marketing campaign designed to convert. Many people have a story floating around in the back of their minds. It may be a family story, a personal triumph or failure, or a recurring dream they can't let go of. Or, it might be a compelling vision they have for their job or career. This presentation will allow people with a story to develop it further and see where it leads. Megan Nagel and Kami Brauer of Hendricks Commercial Properties join AMA Indy for a presentation about the innovation, creativity, and challenges involved with marketing the 300+ million dollar Indianapolis development project, Bottleworks District. Join us for an evening of networking with other marketing professionals at West Fork Whiskey Co. Tickets are $15—only $5 for AMA members—and include a drink ticket and appetizers. EchoPoint Media Media Director, Shannon Quinn, will detail the strategy behind launching a new event during the holiday season. She will detail ways to break through the clutter to establish a new holiday tradition. Join AMA Indy members and guests for a webinar to find out how to make the most of your AMA Indy membership. Learn about AMA Indy members and resources and find out about opportunities to engage with the chapter through volunteering. Register now! FREE ADMISSION. AMA Indy's October luncheon presenter is Dennis Devlin, national speaker and the founder and CEO of Consumer Clarity, a consumer marketing consultancy specializing in marketing to Millennials and Gen Z. Join us for an interactive class—led by Melissa Rowe, Event specialist at Pivot Marketing—where you'll learn how to set realistic expectations, manage timelines, and creatively engage key audiences. User experience (UX) is more than a buzzword and it's not just for designers. In this event for marketers, you'll learn how to apply UX to improve customer experience and maximize your marketing impact. Join us and discover the do and don'ts of UX. Join AMA for its next Virtual Conference. These are highly interactive, free online conferences featuring leading names in marketing on a variety of today's most trending topics. Save the date to join us for an evening of networking and a presentation led by Muhammad Yasin, VP of Marketing at PERQ. More details and registration coming soon! This panel discussion will explore the new brand, and how United Way is engaging the Central Indiana community in its 100th anniversary celebration at the end of April. AMA Indy is proud to welcome a panel of leaders from women's tech groups in Indianapolis. The panel will discuss the initiatives that are taking place in Indy to acquire and grow women in tech and to highlight success stories. Our discussion will help the AMA Indy community better understand the challenges facing women in tech. We will walk away with ideas for how we can support women in tech initiatives. SWE's goal is to stimulate women to achieve full potential in careers as engineers and leaders, expand the image of the engineering profession as a positive force in improving the quality of life, and demonstrate the value of diversity. M.T. joined Cheetah Digital in 2018 as the SVP of Global Human Resources. Cheetah Digital is a 1500 person global Marketing software company that helps Marketers build stronger relationships with their customers. In her role, M.T. and her team are focused on attracting, retaining and engaging talent for Cheetah Digital not only in Indianapolis, but also for the 13 other locations across the world. Prior to Cheetah Digital, M.T. was the VP of Talent at High Alpha, a Venture Studio starting new Tech companies in Indianapolis. She also worked at ExactTarget/Salesforce as the leader of the Global Recruiting team, and subsequently the head of Employee Success for the Indianapolis site. Lindsay Siovaila is a results-driven developer and designer who has a passion for innovation, learning and helping others achieve their technology goals. She is currently Lead Solutions Developer at Salesforce, and Chapter Founder for Girl Develop It Indianapolis. Kristen Hamerstadt is the Head of Marketing and Business Development at SmarterHQ. She is the Founder of Ladies in SaaS which brings professional women in tech together to build empowerment and community in Indianapolis. Kristen also sits on the board of the Speak Easy, a collaborative workspace for coworking and startup spaces serving entrepreneurs in the Central Indiana Community. 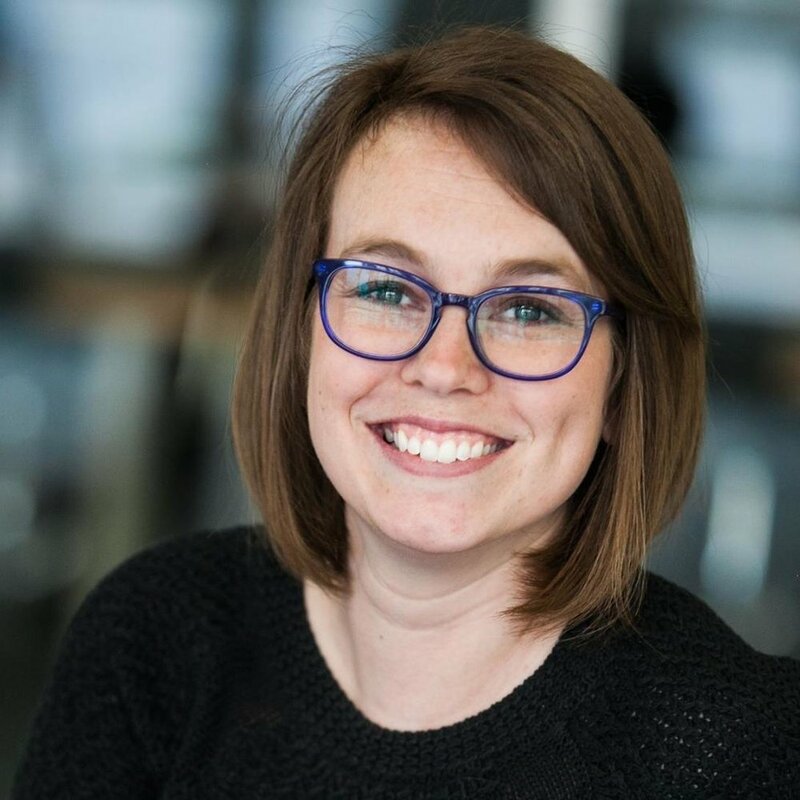 Emily's time in the Indy tech community includes serving as a design & development recruiter with Vitamin T, Campus Director of The Iron Yard and Indy Women in Tech Program Manager at TechPoint. She's passionate about helping all Hoosiers find their place in the Indy tech community. Heather Pirowski is the founder of the fashion tech startup, Fearless Nation. With over twenty years of consumer product development, retail and sales/marketing experience, Pirowski is disrupting the $35 billion dollar promo/corporate apparel industry and starting the conversation that when you set your female brand ambassadors up to win, everyone wins. Join AMA Indy members and guests for a webinar to find out how to make the most of your AMA Indy membership. Join AMA Indy members, guests and three amazing companies who will be your guides to this ever-changing world of amplifying your message through audio! Big Data. AI. Personalization. These topics seem to always be the ones clogging up your inbox, social feeds, and conversations at work. However, for most marketers, these solutions are too far down the road to realistically activate them anytime soon. Instead, marketers should focus on the more immediate fundamentals of data integration, automation, and activation to drive revenue. The event will be held at the new BlueSky headquarters in downtown Noblesville from 5-7 pm with plenty of time for networking and socializing. Light appetizers and beer will be provided. BlueSky Digital is a full-service agency providing clients with proven right sized, real world creative and marketing services. With expertise and experience rooted in technology and marketing we work closely with both B2B and B2C clients to craft and deliver strategies that drive results. BlueSky Digital is a division of BlueSky Technology Partners, a leading eCommerce consultancy. Join IndyAMA members and guests for a webinar to find out how to make the most of your IndyAMA membership. Join us for our January luncheon to learn key strategies startups and high-growth tech companies employ when launching and building new brands from Drew Beechler, Director of Marketing for High Alpha. As marketers, we all understand the value of data-driven decisions. During this five-week interactive and hands-on course, attendees will gain a greater understanding of who is visiting their websites, how they got there and what they are doing during their visit. After completing the course, attendees will have the knowledge needed to pass the Beginner and Advanced Google Analytics Certification exams. Ready to grab a drink with your AMA friends? We are! Join us and connect with other marketers before the holiday season! Join AMA Indy as we welcome keynote speaker, Russ Klein, CEO of AMA as he discusses what is next for the marketing industry and the role of tomorrow’s marketer. Are you ready to grab a drink with your AMA friends? We are! Join us for a social to kick-off our 2017-2018 programming year. Meet our board members and learn how you can become involved in AMA Indy.